A Royal Kick In The Arse. The duo of Chon Wang and Roy O'Bannon team up to find the man who murdered the Keeper of the Imperial Seal of China. Teaming up with the Keeper's daughter, the trio travel to London, where they attacked by street thugs, have their belongings stolen and are involved in a serious accident. Due to a romantic vision Roy experiences after the accident, he decides to pursue the Keeper's daughter over Chon's strident objections. 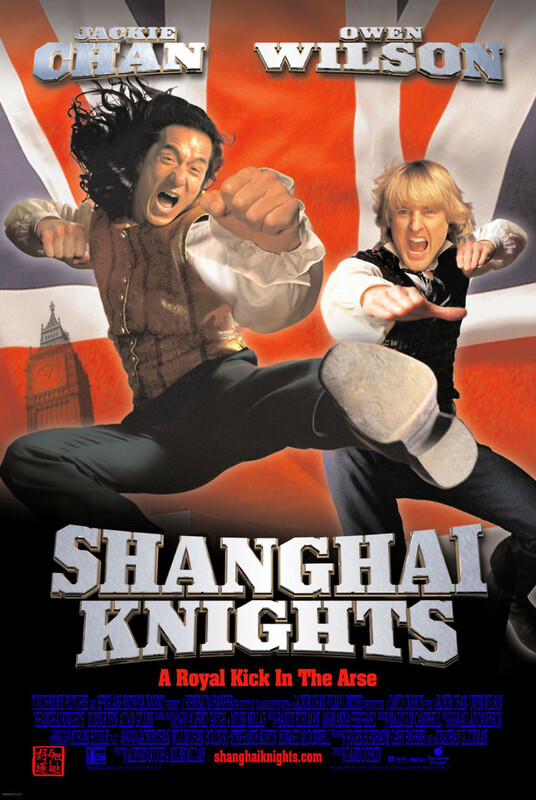 Both don disguises and chase the murderer into the tower of Big Ben, where a sword fight ensues. The murderer is vanquished and the team is knighted. The two make a plan to go to Hollywood and get into film together.